The combination of witch hazel and horsetail concentrated extracts together with geranium essential oils (known for their antibacterial and antifungal properties) help keep germs at bay working as a natural disinfectant. 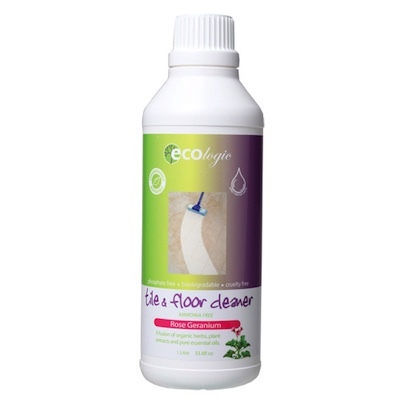 ECOlogic Tile & Floor Cleaner dissolves away dirt and grime on hard floors leaving them sparkling clean and shiny without any filmy detergent residue. Perfect for use on tiles and hard surfaces.